We are always proud of our students and their accomplishments, but this group of students I am particularly proud of for their growth and hard work. It is no secret that the WW band had struggled in recent history, not for lack of effort, but numbers were low and although some soloist had experienced success collectively there has not been a lot. If you have attended football or basketball games recently, you have noticed a drastic improvement in number, sound and quality of the pep band. Others have noticed too! 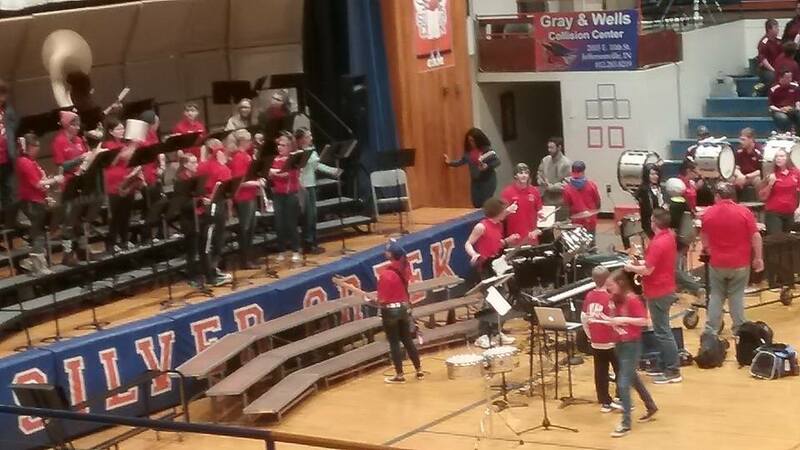 This weekend the WW Band, led by Sam Bortka, swept the competition in their division at the Silver Creek Pep Band Invitational. The WW Band will be competing in another competition at Orleans on January 21st and it is open to the public. If you have not seen them in action, you are missing out. Remaining games that the band will play at are 1/14, 1/20, 1/26, 1/27, 2/7 and 2/14.